If you have the Categories add-on activated, you can assign categories to your feed sources. This works similarly to how you would assign categories to posts in WordPress. 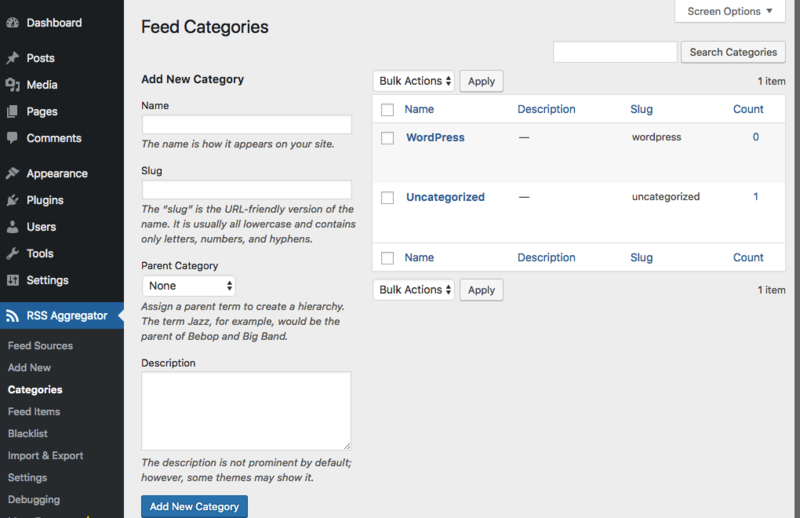 What this add-on allows you to do is to assign feed sources to WP RSS Aggregator categories. That way you can then display feeds from a particular category on a given post or page (via a shortcode parameter). Thus you can have one page displaying feeds from the ‘Entertainment’ category (or any category you create) and another displaying feeds from the ‘Sports’ category. On a per-feed-source basis, you can select one of the existing categories or add a new one, when adding feed sources, as in the screenshot below.